Congratulations on your recent appointment as an Officer of the Order of Australia! The honour highlighted your service to the community through leadership and philanthropic initiatives. How did you first get involved in community engagement? My first involvement was way back in high school. A classmate died of kidney disease, and I led a fundraiser where we raised the money for a kidney dialysis machine in her memory for the local hospital through a 40km charity walk. Goes to show that a bunch of school kids can make a real difference to the community – something that I have observed many times since! You’re very heavily involved in not just the Arts, but in the Education sector as well. What drove this passion and commitment? I come from a modest background, and am confident that without the determination of my parents to get me into the local grammar school there is no way I would be where I am today. My brother and I were the only ones in our extended family to go to University. Starting work in the City of London, I soon discovered that most of my contemporaries went to private schools and Oxford/Cambridge… Looking back, I suspect I was determined to prove that I could also succeed in this environment! This is what drove my belief in the vital role education plays in providing people with the opportunity to realise their potential, no matter what their starting point – and why this has been an area of focus for me in my not for profit work. I have always had an interest in music and the Arts generally. I was given the opportunity to join the Board of the newly formed Sydney Symphony Orchestra when it was corporatised from the ABC in the mid 1990’s. This was a fantastic experience in helping shape what a standalone Orchestra looked like. While the Orchestra had incredibly high artistic standards, it needed help in all the dimensions a business takes for granted: strategic planning, business and financial management, marketing, etc., and a well-connected Board is able to open doors to potential sponsors and philanthropic donors. When did you make the transition to Melbourne and the MSO? I became involved with the MSO very quickly after moving to Melbourne. Two areas of focus for me have been how to establish a sustainable financial platform for an art form that has high fixed costs in an environment where the contribution from Government is declining. And secondly, how to influence the education agenda where we have seen music de-emphasised in the State curriculum. Through your family Foundation you’ve been able to bring together your love of classical music and passion for education. I’m really proud of the work that the Ullmer Family Foundation has been able to achieve. We’ve supported education initiatives at the NGV, and many other organisations. 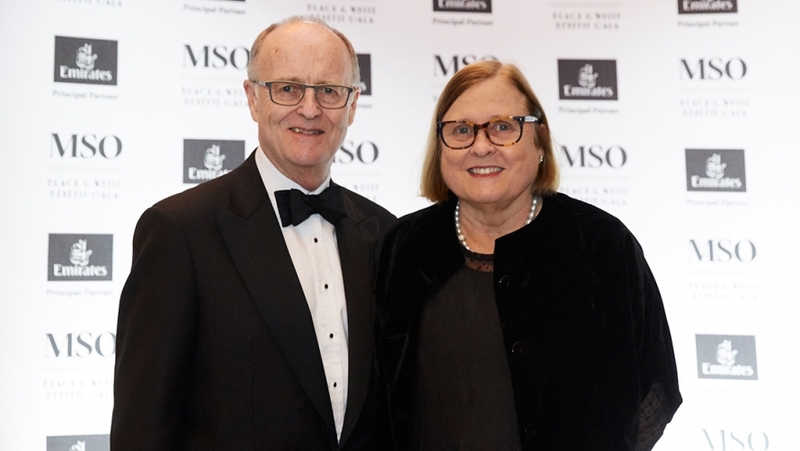 The Foundation has been a strong supporter of the MSO education programs, giving those children from disadvantaged backgrounds the opportunity to realise their potential through participation in music. I’m especially proud of MSO’s Education Week where over 10,000 children experience a series of education concerts during the week-long festival. In the future, what do you hope to achieve at not just the MSO, but across the entire Arts and Education industries? At the end of the day, I always want to leave things better than I found them. And hopefully I’ll be able to do just that.